DRPU Offer Print a Birthday Card software is an freeware card creator tool which provides perfect and well suited facility for users to create simple and personalized birthday cards in various types of sizes and shapes as per users requirements. It's a fast and simple-to-use application with built-in Manager. 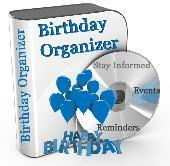 Print birthday card tool is excellent solution to generate homemade, outstanding and customized birthday anniversary labels in real time. Birthday Invitation Cards provides facility to design amazing and fantastic birthday cards to send wishes to dear ones by adding photo, images, text and other elements. The programs are based on high interest subjects, such as nursery rhymes, holidays, and birthday themes.